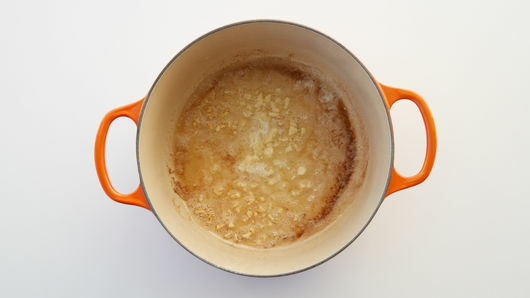 In 3- to 4-quart Dutch oven, melt butter over medium heat. Add garlic; cook 1 to 2 minutes, stirring frequently, until garlic is fragrant. 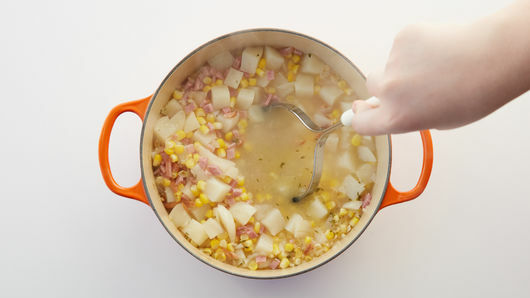 Add chicken broth, potatoes, frozen corn, ham, 1 tablespoon thyme, the salt and pepper. Heat to boiling; cover and simmer 10 to 15 minutes. Remove from heat. With potato masher, carefully mash potatoes to thicken chowder. Stir in whipping cream; heat 2 to 3 minutes or until heated through. Garnish with additional thyme leaves. 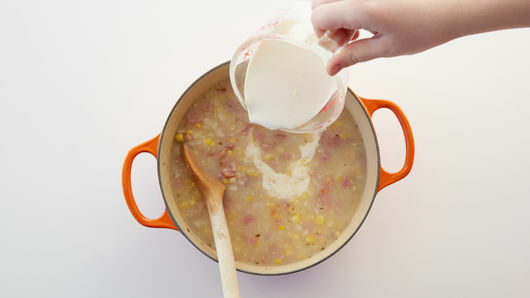 A boneless cooked ham steak or leftover ham works great for this recipe. 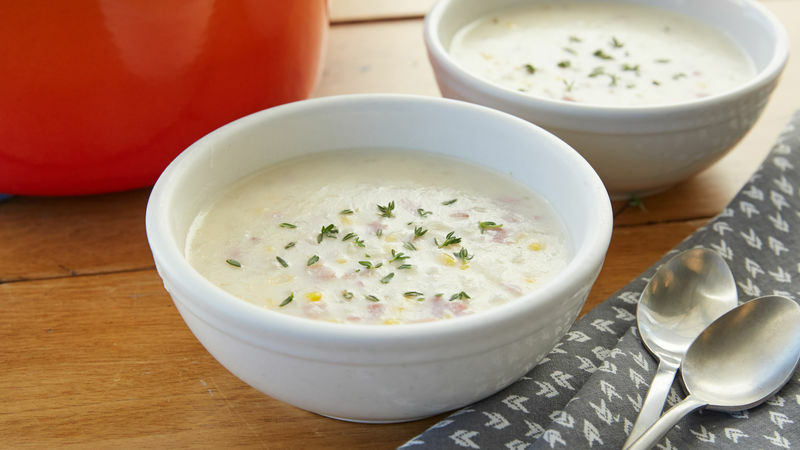 Mashing the potatoes creates a thick and creamy texture you typically find in a chowder.